Tamara Saunders, M.D., is an assistant professor for the Department of Surgery at McGovern Medical School at The University of Texas Health Science Center at Houston (UTHealth). She maintains a surgical practice focused on breast disease. Dr. Saunders’ patient care philosophy focuses on patient-shared decision making, and integrating each breast cancer patient’s unique tumor biology to develop a personalized treatment plan. 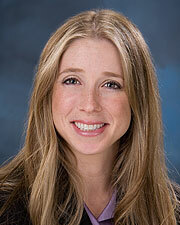 She is board certified by the American Board of Surgery and is a Fellow of the American College of Surgeons. She is a member of the American Society of Breast Surgeons, Society of Surgical Oncology and a member of the Society of American Gastrointestinal and Endoscopic Surgeons, the Texas Medical Association, and the Harris County Medical Society.